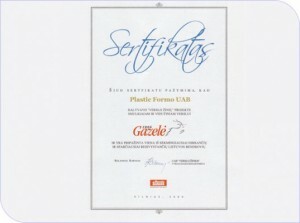 In 2003, awarded the Gold Medal for mud and mineral water therapeutic baths establishment of Lithuanian Industrialists’ Federation award. 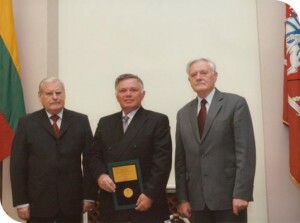 In 2006, awarded the gold medal for Double-wall cylindrical tanks chemical production, Lithuanian Industrialists’ Federation award. 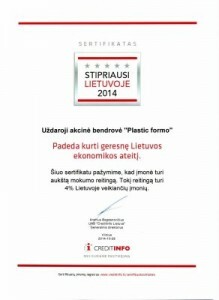 In 2011, JSC “Plastic FORMO” assigned to companies with high credit rating. 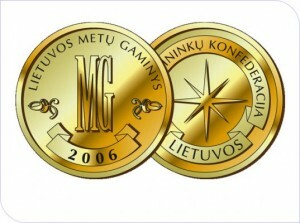 This ranking has 6% of companies operating in Lithuania. 2014 JSC “Plastic FORMO again assigned to companies with high credit rating. 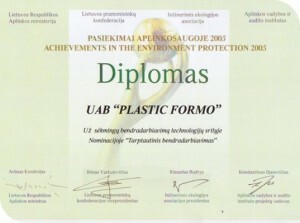 PLASTIC FORMO, UAB is the manufacturer, successfully operating already since 1991. Companyemploys 30 workers and a turnoveris 1.5 million EUR (2013). 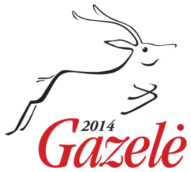 Our head office is situated in Kaunas. The company has 4000 m2 industrial building area. The production of enterprise is divided into two branches – that glassfiber composites and polypropylene’s (PP), polythene’s (PE) products manufacture. Basics products are made of polypropylene and polythene: tanks for storing water, wastewater, fertilizers, diesel fuel and chemicals materials till 50m3 capacity. Also we produce outdoor and indoor pools, bathhouses-tubs, biological wastewater treatment plants and etc. We work with the newest Wegener GmbH welding machines and using the Rochling GmbH materials. Also for the calculation of tanks construction we are using the design and calculation program RITA supported by our Germany suppliers. 2014 the newest investment is CNC routing machine enable us to perform precise plastic fabrication works for our customers. 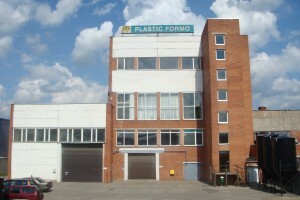 PLASTIC FORMO specializes in design and manufacture of structures and parts from composite materials. Complete cycle of work is performed here, including: design; prototyping; making molds; full-scale production. Today our customers are agricultural, renewable sector, engineering and technology, chemical industries companies, farms and private persons. Our areas of operation are Lithuania, Estonia, Latvia, Germany. Sweden, Russia. We offer a high level of service, top quality products and short delivery time!